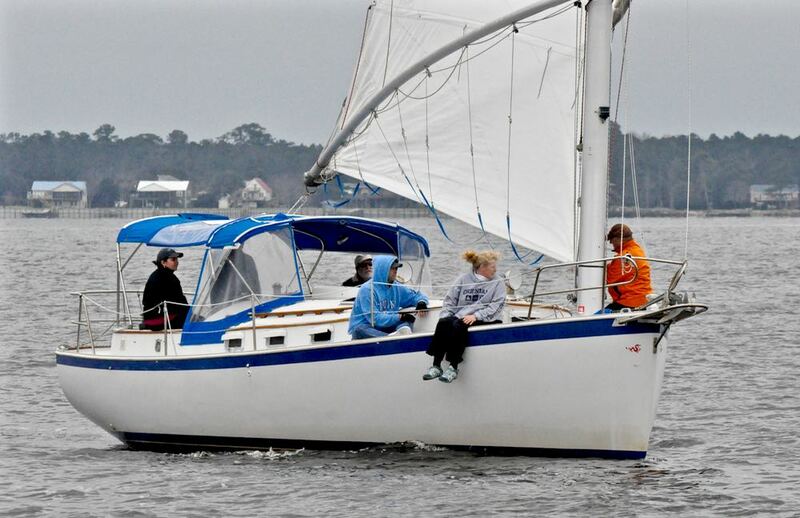 ore than 50 boats and their crews started 2016 out on the Neuse in Oriental’s Instead of Football Regatta. 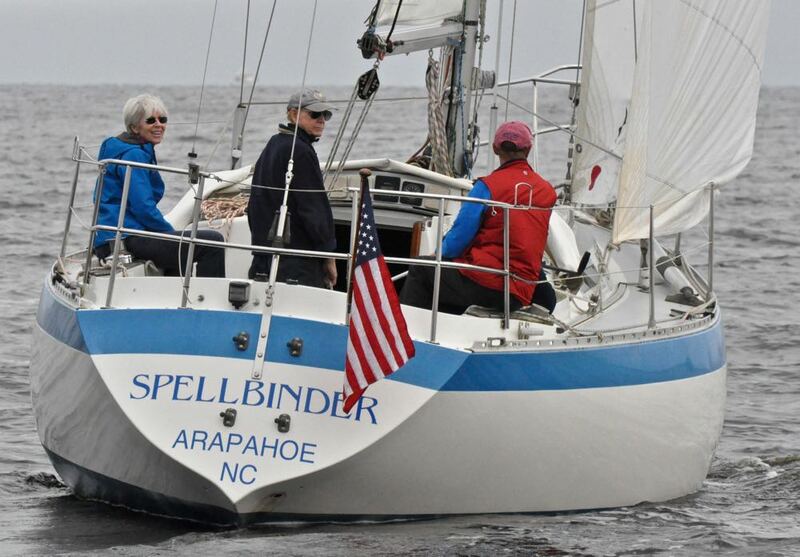 It was the 23rd year of the (non) race and as tradition dictates, the top 3 finishers were determined not at the finish line but in a random drawing after the sailing was over. 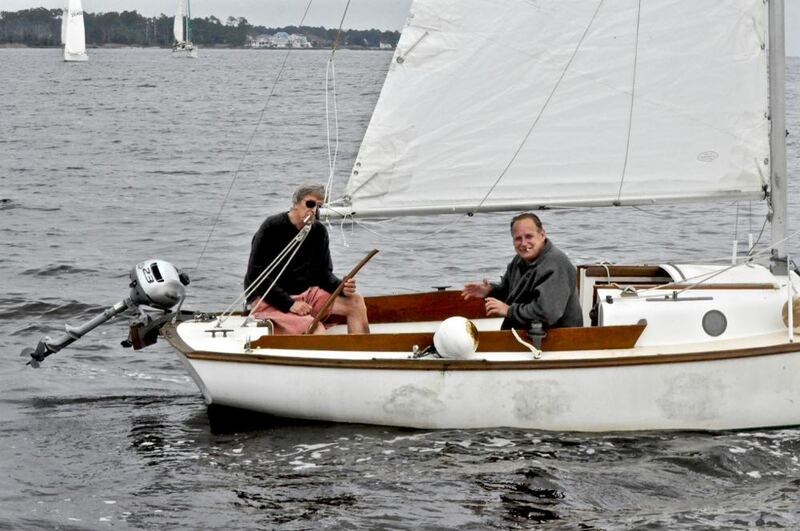 The winning boat – as determined by random drawing back on land – was Joe Valinoti’s cat boat, Il Gatto. 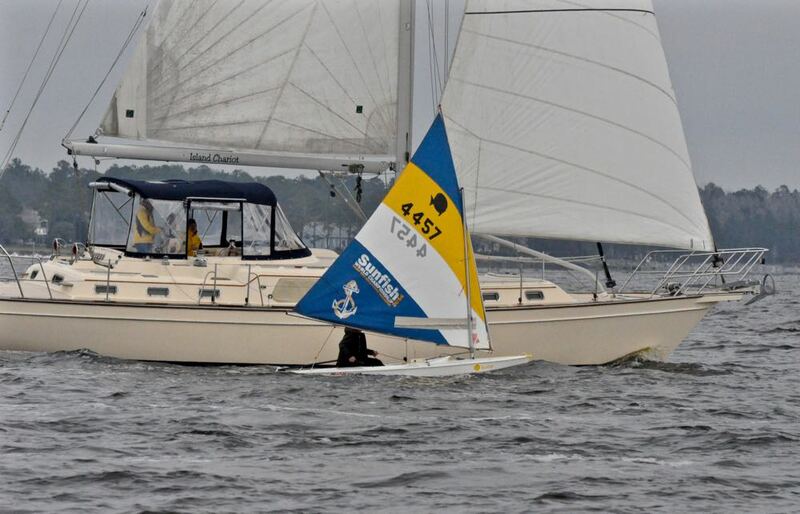 That event was at the post-race “skippers’ meeting” which this year was held on the deck of Water Street Grill. Joe Valinoti’s Il Gatto took first place; D & Don Wogaman’s Southern Cross was 2nd and Steve and Geri LaBreck took 3rd. Leslie Cameron, Ken King and Chuck Lee on Spellbinder. There was one cigarette boat in the regatta. 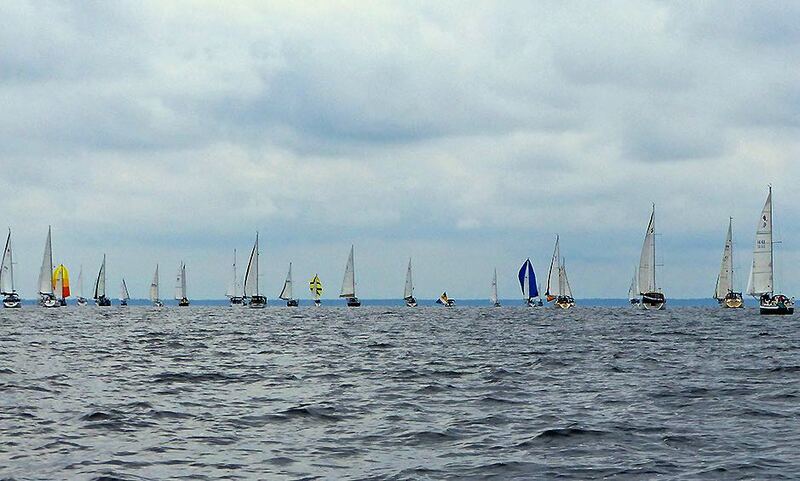 The Instead of Football Regatta really is open to sailboats of all sizes.